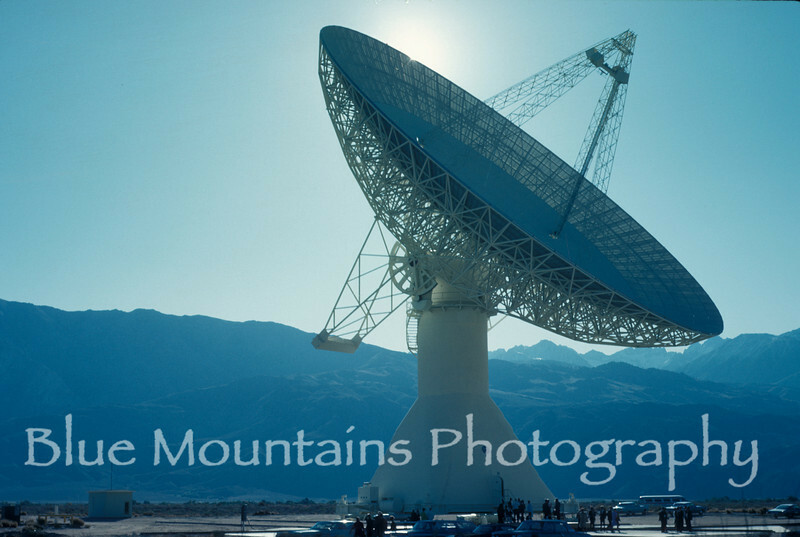 The October 18, 1968 dedication of the 130 foot radio telescope located at Caltech's Owens Valley Radio Observatory. This was the third telescope (two existing 90 foot radio telescopes) in a interferometer configuration that allowed for the effective resolving power of a radio telescope of three miles in diameter. Gordon Stanley, the Observatory director from 1965 to 1975, guided the operation of the observatory and the successful acquisition of funds from the Office of Naval Research for the 90 foot dishes and from the National Science Foundation for the 130 foot telescope.